Some of us at Wilbur-Ellis in Texas were in the path of the storm. We work in the Agribusiness office in Taft, a town of roughly 3,200 residents located about 20 miles north of Corpus Christi. As Hurricane Harvey approached, we boarded up our office and evacuated out of the predicted storm track the day before it reached the Texas gulf coast. Taft’s website boasts that the community is “The Friendliest Cotton-Pickin’ Town in Texas” for good reason. Taft rests in the center of San Patricio County, one of the state’s most productive cotton-growing regions. With Harvey bearing down on the area, cotton farmers and processors (or “gins”) moved their cotton from the fields to any high ground they could find. Much of the baled cotton was inundated with rainwater. Local gins, barns and grain elevators were also destroyed. 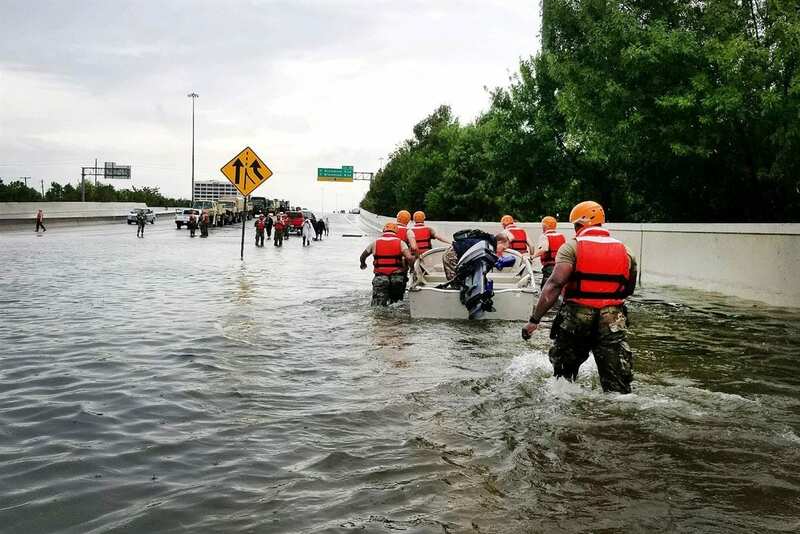 Fortunately, disasters like Hurricane Harvey can bring out the best in people and companies – like Wilbur-Ellis. The day after the storm, our area manager, Walter Esser, contacted everyone on his team to make sure that we were safe. Luckily, we were. Within days, we returned to the Taft area and discovered that the local schools in nearby Rockport had been devastated. Walter and Agribusiness President Dan Vradenburg helped secure outlays totaling $37,000 from our Impact Funds to help various organizations throughout the community. Wilbur-Ellis also announced a $100,000 donation to the American Red Cross to support the needs of those impacted by Harvey in southeast Texas. Wilbur-Ellis staff also took to heart our core value of effort. Local employees provided the use of their trucks, trailers, boats and individual energy to assist people affected by the storm. For example, in the wake of the storm with electric lines down across the region, utility workers from all over the U.S. rushed to southeast Texas. In Taft, our office was without power for two weeks while these crews worked literally from sunrise to sunset trying to restore electric service. We watched as a crew of 65 utility workers all the way from Tennessee worked for our community, so we decided to give something back to them. Oddly enough, we partnered with our competitors, CPS and Helena, to prepare a meal for the entire crew using CPS’s onsite BBQ pit. One afternoon, we cooked beef and chicken fajitas, rice, beans and all the fixings. With service being another of our core values, we were more than happy to bring that to life to say thank you to the utility workers. And, doing it with our competitors really shows how the whole area came together to support each other and the community. It seems that in times of disaster, there are no competitors, only neighbors. While work remains to be done before our community and our region are fully recovered from Hurricane Harvey, we’re more committed than ever to this area. We and Wilbur-Ellis are proud to call it home.